Jamón 7 Bellotas® Bone-in Ham Jamón 7 Bellotas® "Gran Reserva" Bone-in Ibérico Bellota Ham dry cured with love and hung for over 48 months in a natural dryers. Jamón ibérico de BELLOTA "Gran Reserva" 48 Months cured. No Artificial Colourings, No Gluten, No Lactose 100% Natural JAMON 7 Bellotas® comes from a Pure Bred IBÉRICO Pig feed exclusively on acorns. 7 Bellotas® Acorn-fed Iberian SHOULDER Ham "Gran Reserva" + 4,0 Kg. 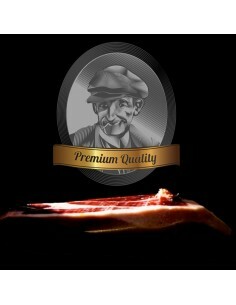 7 Bellotas® Acorn-fed Iberian SHOULDER Ham "Gran Reserva" + 4,5 Kg. 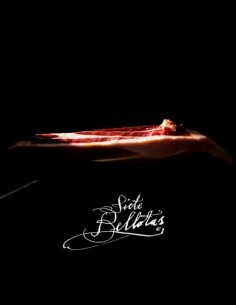 7 Bellotas® Acorn-fed Iberian SHOULDER Ham "Gran Reserva" + 5,0 Kg. 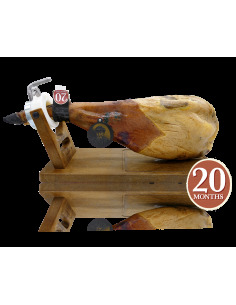 7 Bellotas® Acorn-fed Iberian SHOULDER Ham "Gran Reserva" + 6,0 Kg. 7 Bellotas® Bone-in Ibérico Ham 36 Months + 7.5 Kg. 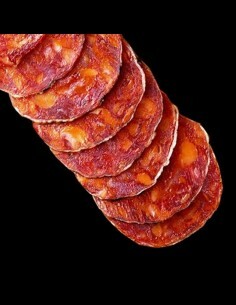 7 Bellotas® IBÉRICO Pata Negra Shoulder Ham 4,5 Kg. 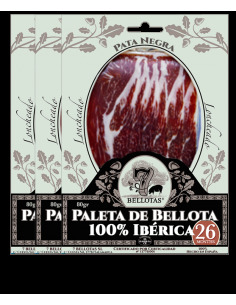 7 Bellotas® Ibérico Pata Negra Shoulder Ham 5,0 Kg. 7 Bellotas® IBÉRICO PATA NEGRA Shoulder Ham 6,0 Kg.